Bonjour lovelies! Firstly, thank you so much all of you for your subscriptions to our French Style Blog newsletter, Le Weekend – it’s truly fab to have you on board. If you haven’t already, you can sign up here in the little box on the homepage. This way we can send you a newsletter every quarter letting you know about special offers and checkout codes plus ideas for styling your home and wardrobe for each season. It feels a bit like winter is on it’s way doesn’t it? Time to take care of yourself like any good hibernating creature should! If you’re planning on an Autumn break away with the kids, make sure you invest in some good outdoors gear and winter will seem so much more enjoyable! I have failed on this front so many times! I love the idea of these dry bags, ideal for walking holidays or even days out when the heavens open! 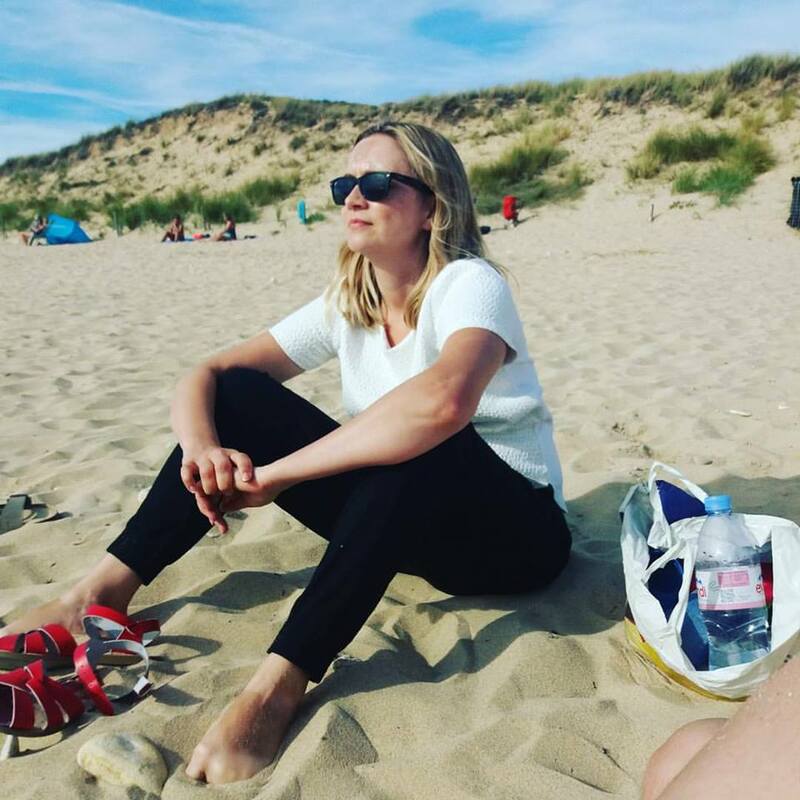 I am beyond excited that my sister Louisa Niehoegen is now joining me at Love French Style Blog as our new Fashion Editor. She has always had an amazing eye for clothes – so chic and classic with a lovely vintage twist. She’ll be putting together seasonal moodboards and showing you where to hunt out beautiful, stylish outfits with a little ooh la la from the high street. So many exciting new things to come including styling a wedding shoot in a stunning French chateau soon. In the meantime, pop your feet up and have a great weekend with a round up of lovely things to buy and try this week! A Great Read – There’s nothing that shouts relaxed more than actually taking the time to read. Do you remember how to? One of life’s simple pleasures that simply flutters off out the window like a day old moth the minute children arrive in your life. 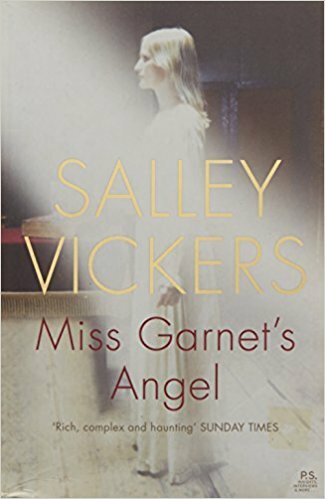 If you are lucky enough to have left the toy aeroplane playing phase or Frozen princess phase behind then you might enjoy reading this beautiful book by Salley Vickers – Miss Garnet’s Angel. A dear friend recommended this book and it’s a really beautiful story. This is a truly amazing read full of twists and turns and about life’s amazing treasures. If you have a big change on the horizon you should read it soon. 3. Perfect Plumping Treatment – This is by far the best way to add a certain je ne sais quoi to your overall complexion. 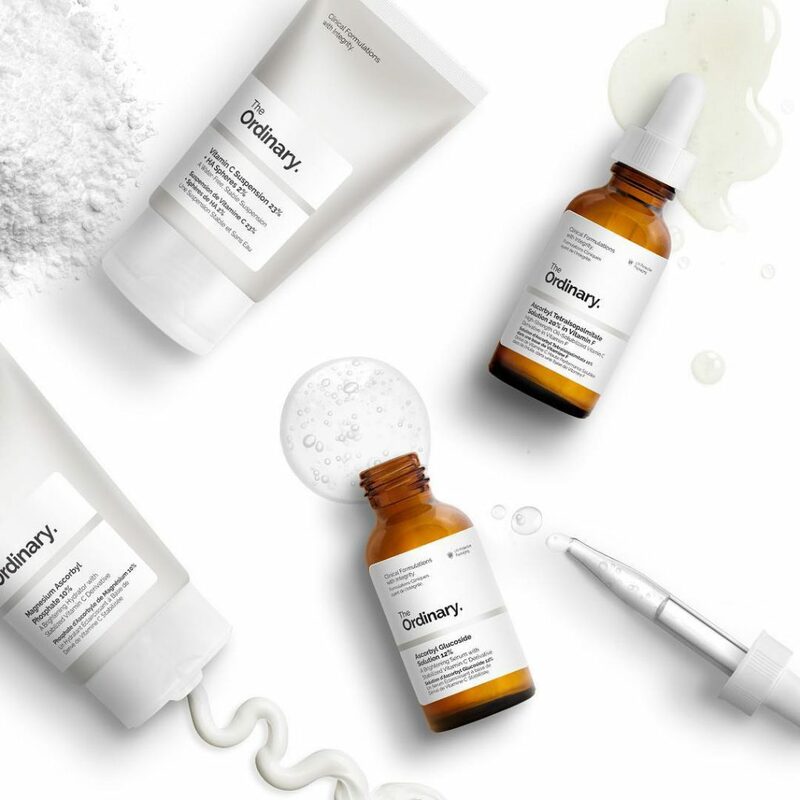 We love The Ordinary Skincare products and if you haven’t tried any for yourself yet then just give this one a go. The Vitamin C really brings out a lovely warm tone to skin with a plumped up finish that is youthful and healthy looking in one. If stocklevels are low in your chosen online store don’t fret they will be replenished soon! 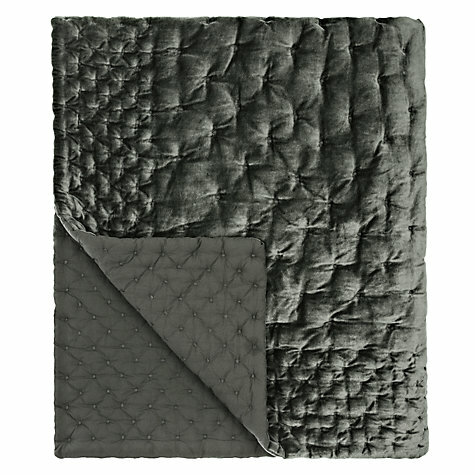 We love this product but white pillowcases don’t so try wearing it under a good Factor 50 during the day. 4. Tupperware! – yes you heard me right. I recently invested in the Extra chef from Tupperware to save room in my cupboards but actually allow us to chop and mix things manually! 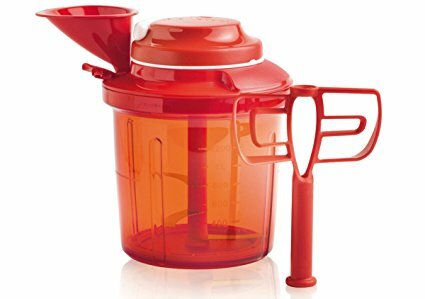 It’s really quite a treat with no wires or cables, just a manual spinny thing on the top to operate the blade and whisk – it’s awesome! Am I getting old? 5. A Sparklingly Beautiful Sweater – Wearing jumpers again after the lovely sunny days seems so boring doesn’t it? Here’s a beautiful way to steer clear of the frumpy with beautiful embellishments and a lighter weave. 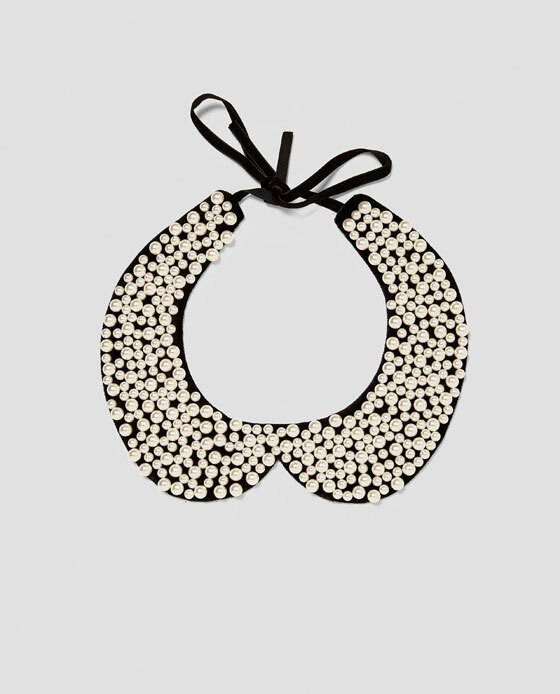 we’re lusting after this little beauty by Zara for £29.99. If you’re not sure about pearls all over then this gorgeous Velvet Collar with Faux Pearls would bring new life to an old favourite. By Zara £17.99. 6. 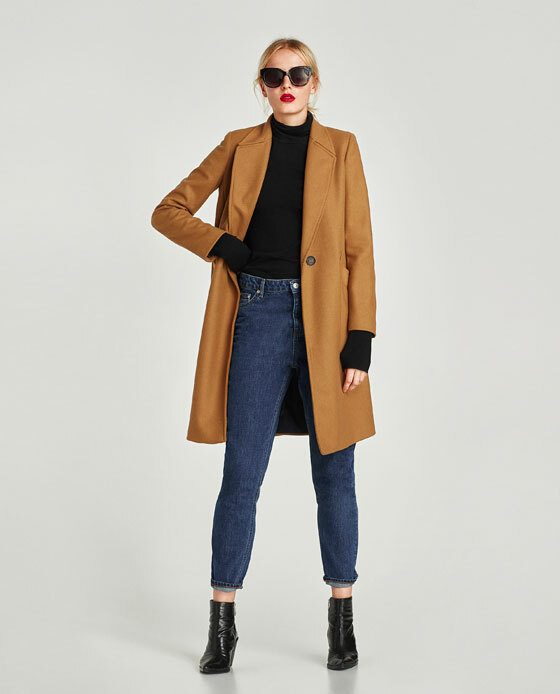 A Camel Coat – No intro required! your winter uniform so needs this. Stunning with red, uber cool with black – a camel or mink coloured coat has every style box ticked for the winter months ahead. Here are two gorgeous coats by Zara both priced a a very reasonable £95.99. That’s our inspo for this week – have a great weekend all of you!